Most people would celebrate a friend’s purchase of a new piano by bringing over a bottle of bubbly. 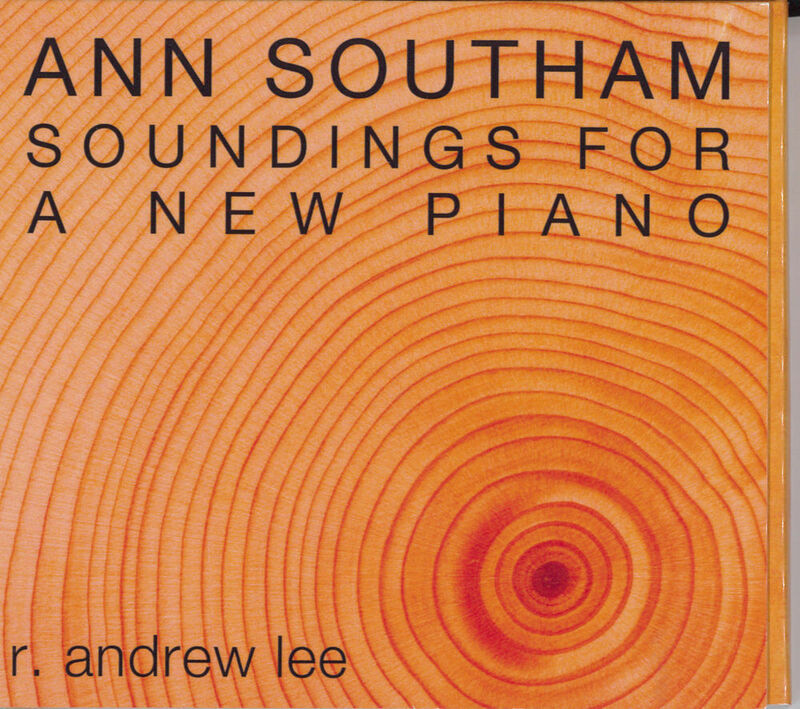 But when Toronto pianist Jane Blackstone bought a grand piano in 1986, composer Ann Southam showed up with a magnificent new work called Soundings for a New Piano, dedicated to Blackstone. On this new release, US pianist R. Andrew Lee gives the work what I believe is its recording premiere. 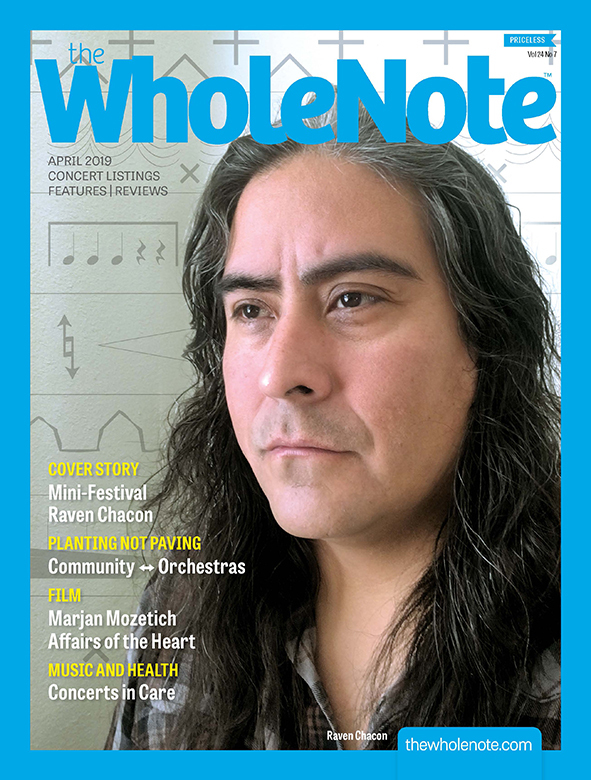 Southam subtitled the piece “12 meditations on a Twelve Tone Row;” each of its 13 concise movements is like the turning of a musical kaleidoscope that enables the composer to explore a different emotional facet of a 12-interval row. 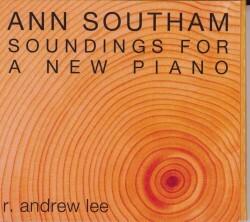 Southam loved this form of musical inquiry, and used it in a number of piano works, culminating in her deeply contemplative Simple Lines of Enquiry (2007). It’s fascinating, in fact, to find several strands of musical DNA from SLoE in Soundings – not just a nearly identical tone row, but also some shared rhythmic and metric features, and a persistent questioning quality in the musical rhetoric. Lee captures the spirit of curiosity that propels Soundings, and vividly conveys the distinctive, richly nuanced characters found in these 13 compact movements, from the bold insistence of the opening movement through complex tendernesses and passionate outbursts, all of it grounded by a gentle rocking sequence that keeps recurring, at once questioning and comforting. A welcome addition to the Southam discography, this recording is available as a 23-minute CD or as download from www.irritablehedgehog.com. Concert Note: Pianist Eve Egoyan launches her latest recording of music by Ann Southam - Returnings – at Glenn Gould Studio on December 2.